There is a lively tradition of music at Durham, from the earliest days of the monastery through to the present. Music speaks to us at sad times and joyful times, it can inspire, uplift and revive the spirit. Always central, music still forms a vibrant part of life and worship at the Cathedral. This exhibition traces how that tradition has grown and changed over the centuries. 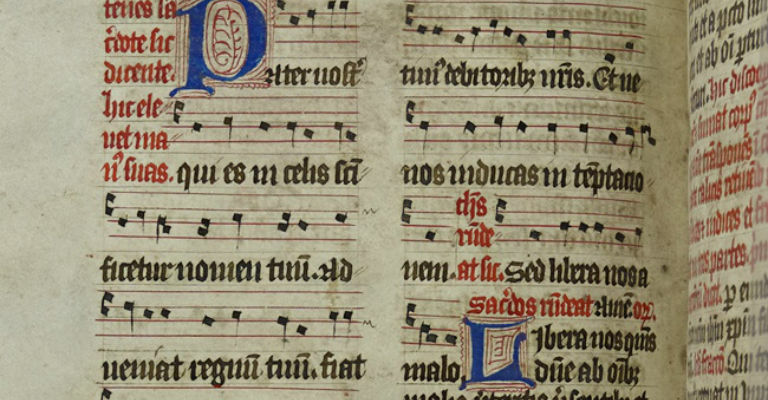 Featuring music manuscripts and early-printed books, it will explore the range of music used from medieval times to the present day, including pieces composed in or specially for Durham. It will also look at some of the instruments used to create that music, and how this has changed over the centuries.